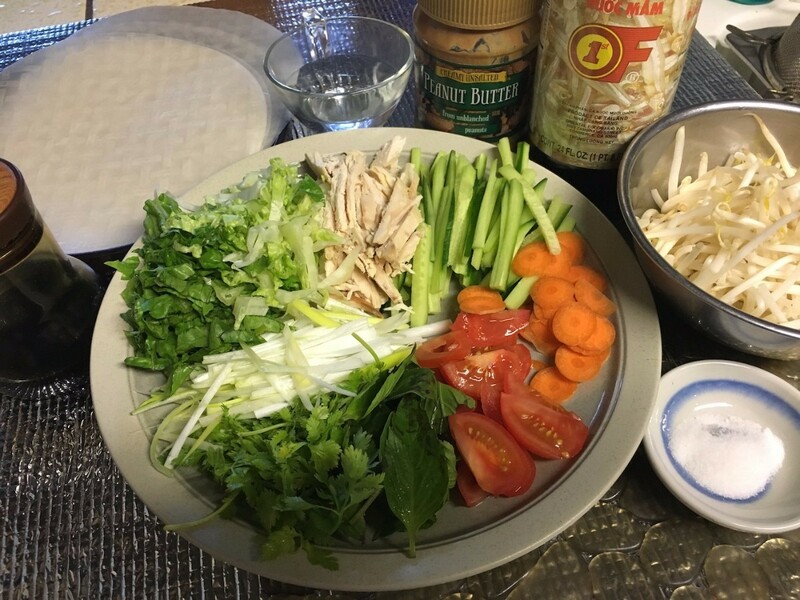 This is a guide about chicken spring rolls with peanut dipping sauce. 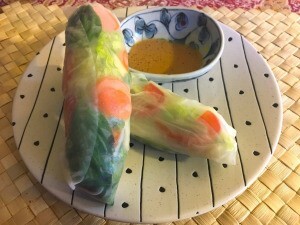 These spring rolls can be filled with any kind of fresh vegetables that you want. 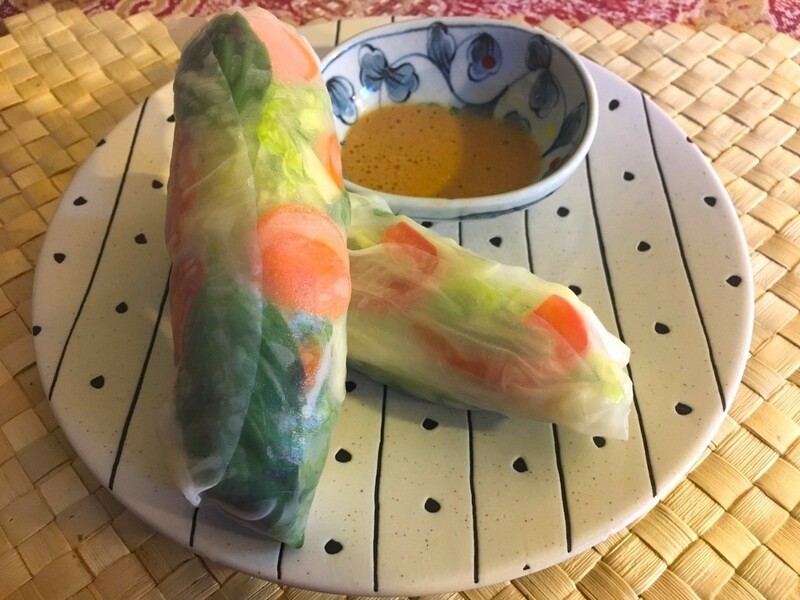 They are a light, healthy meal and taste great dipped in the homemade peanut sauce. 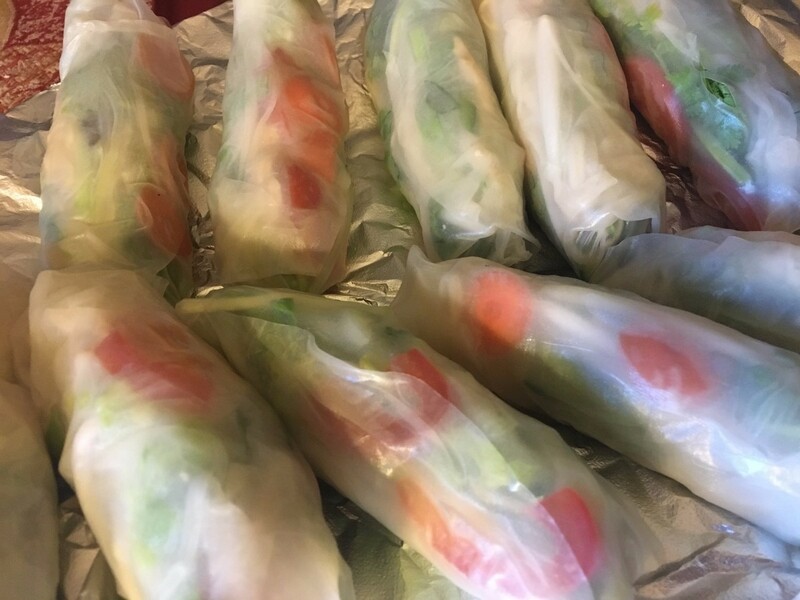 I love making Vietnamese spring rolls, especially for summertime picnics and potlucks. They look pretty fancy but they are so easy to make. You can use any number of fillings for yours. 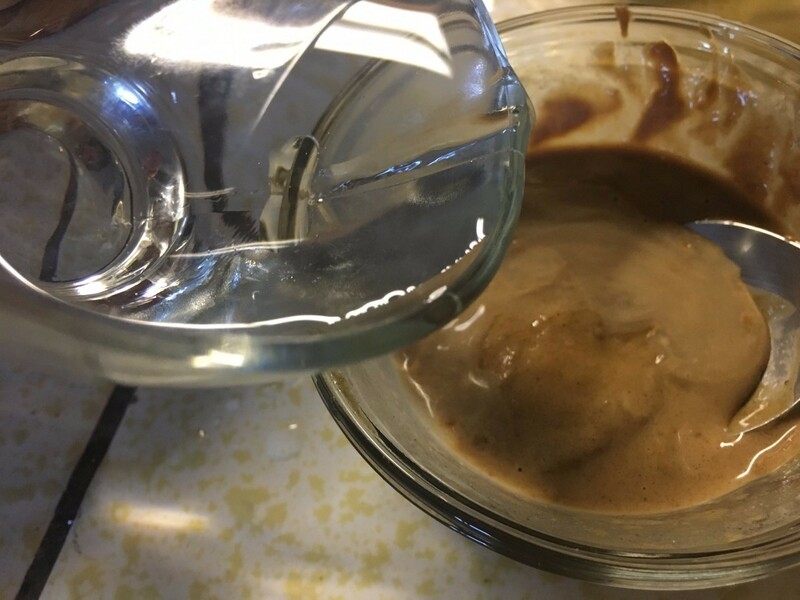 Just like any recipe, it's fun to stray from the usual to suit your tastes! Fill a large bowl with warm water. 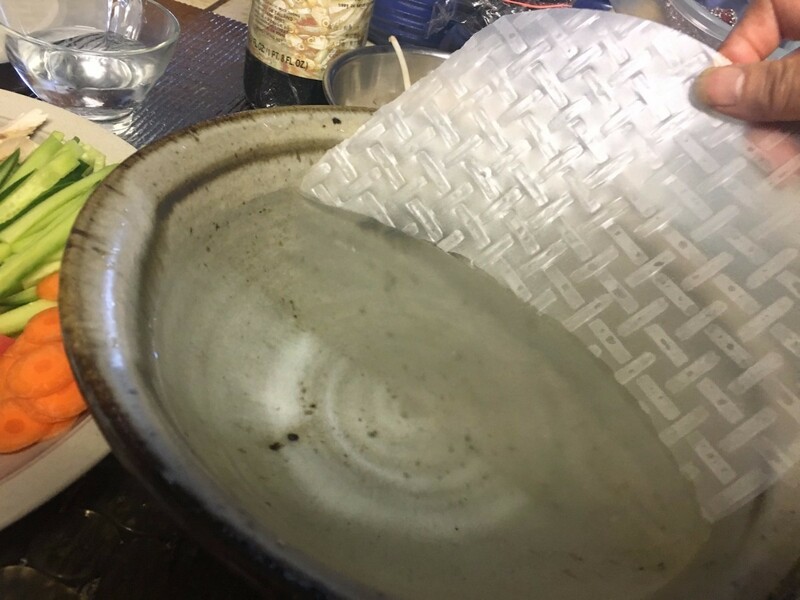 Dip one rice wrapper into the water for 1 second to soften. 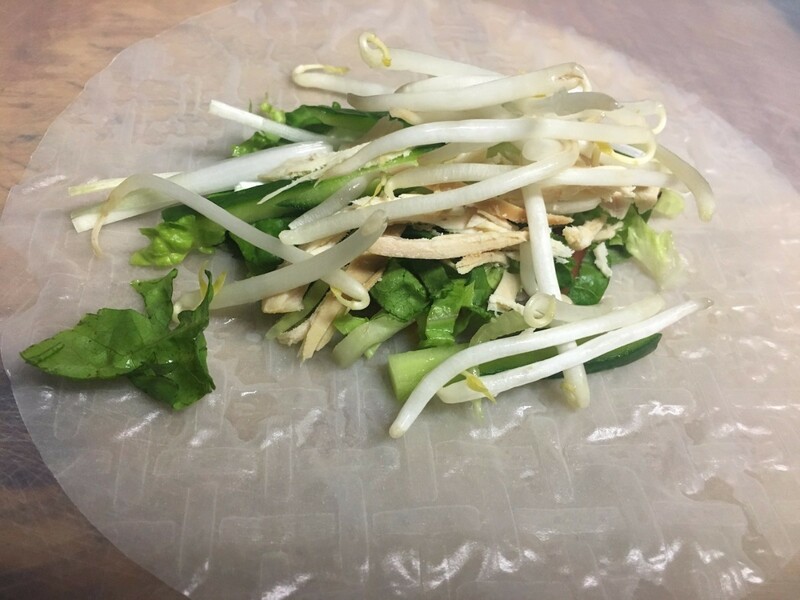 Lay rice wrapper flat on a work surface. Start laying down your more colourful fillings in the center in a row. 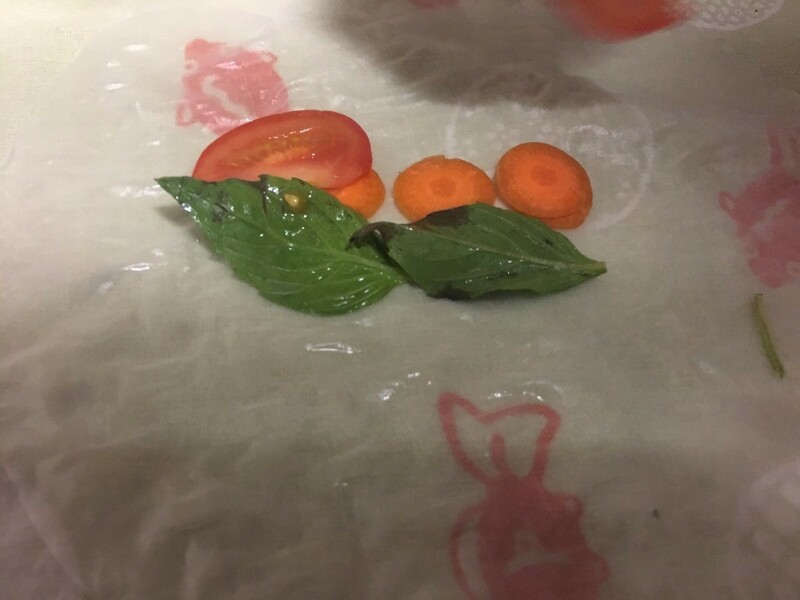 I started with carrot, tomato and basil. Add a little bit of each one of the other fillings, leaving about 1.5 inches uncovered on each side. 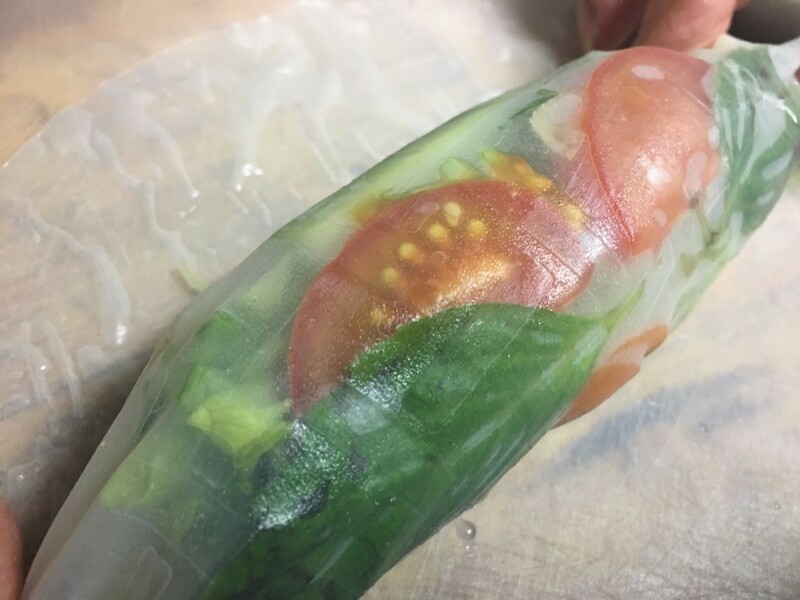 Fold sides inward, then tightly roll the wrapper. It will stick to itself to seal. Repeat with the rest of the wrappers and fillings. 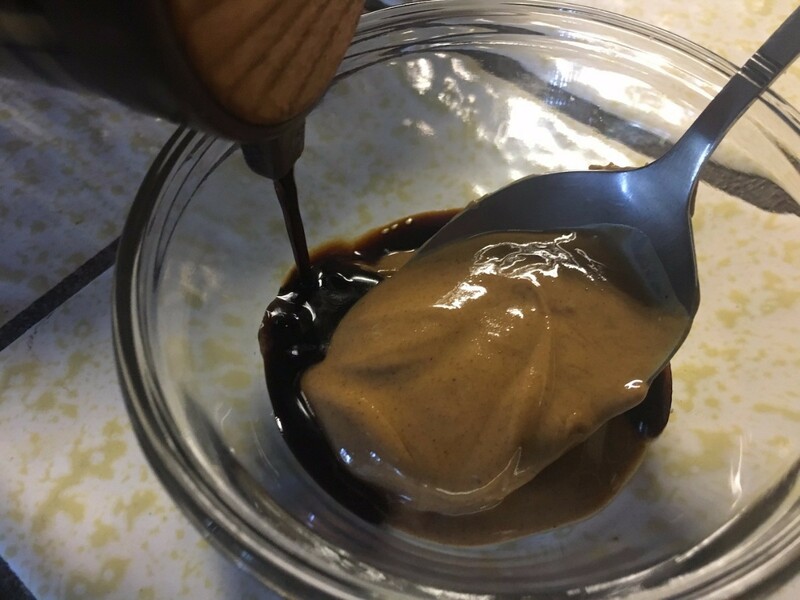 To make the dipping sauce, in a bowl, mix together the peanut butter, garlic, lime juice, soy sauce, sugar, and water until it's smooth. Add salt and pepper to taste. Serve with the rolls as a dip and enjoy!